Examination of the built environment is a fundamental line of humanistic inquiry that shapes our understanding of diverse cultures. It is impossible to consider the ancient Egyptians without immediately thinking of the pyramids or the vast religious complexes of the Nile river valley. The medieval pilgrimages and the modern disciplines that study them – history, literature, religion, musicology, and art – are inextricably tied to the monumental Romanesque cathedrals that blanket Europe. This link between humanities scholarship and the built environment is unquestionable, with an inexhaustible number of examples that illustrate how architecture and urban design reveal the aspirations and priorities of cultures across the ages. 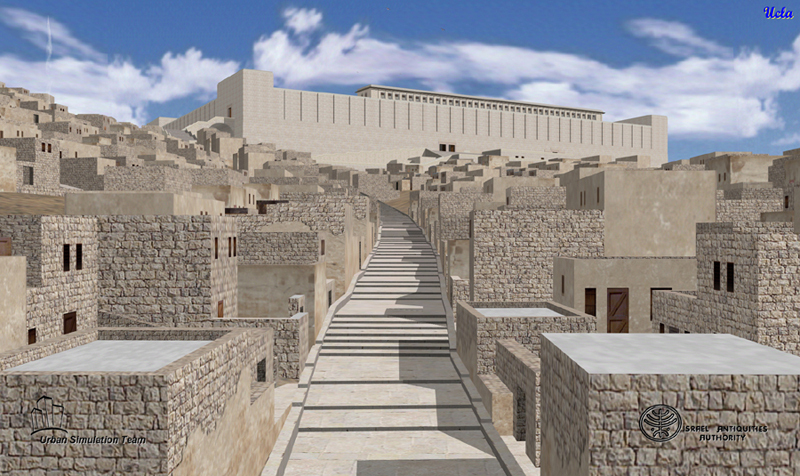 The humanistic promise of virtual reality environments created to academically rigorous standards is that they would allow scholars the opportunity to explore reconstructed buildings and urban spaces, recreate the experience of citizens from other eras, gain insights into the material culture of past civilizations, and engage formal and informal learners in ways never before possible. 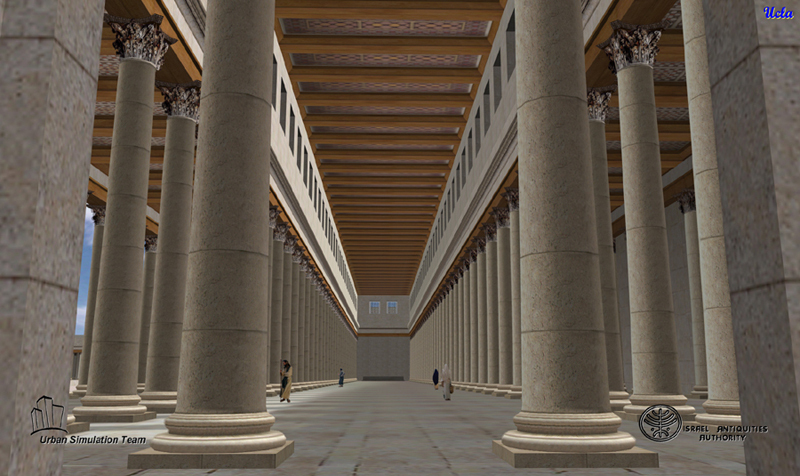 Within these virtual spaces, students could navigate through reconstructions of historic urban environments and engage with one another to build knowledge through constructivist learning exercises. Beyond pedagogy, this new form of academic expression would engender new forms of scholarship and publication. Seemingly, the promise of the technology is within reach. Scores of researchers across the globe are hard at work on a significant – and growing – body of academically generated three-dimensional content. Architects and archaeologists have embraced three-dimensional computer modeling to visualize un-built structures,1 reconstruct cities of the past,2 and explore research questions specific to a single site or structure.3 Yet, even given all that promise and hype, two-dimensional drawings and static images still dominate the research, study, and teaching methods of architectural and urban form. The problem is that only a very small selection of digital work has been made available to scholars, students, and the general public. In part, this is because of a dearth of options for easily sharing three-dimensional content. Available on-line social-networking virtual worlds such as Second Life and Stanford’s Sirikata, while brilliant for avatar interactions and communication, are not suited to the study of highly detailed environments. The platforms for most online virtual worlds do not support the ability to import or export content, thereby limiting the scope and functionality of the exploration to a single platform. The strength of available online mapping programs like Google Earth and Microsoft Research Maps is in their ability to let users interact with rich geographical content on a global scale, not their replication of the physical world and first person navigation. While Google actively encourages users to create three-dimensional content with its free modeling package (Sketch Up), there are extreme limitations to using Google Earth for the study of the built environment. Navigation is geared towards bird’s-eye examination of schematic forms, and the models that can be loaded in Google Earth are, by necessity, very low resolution. When the goal is to illustrate the schematic massing of a city, these limitations are acceptable, but not when the goal is to understand the experience of moving through a detailed world. A secondary problem is that the computer models, by themselves, are essentially raw data, lacking contextual material, subject expert commentary, and textual analysis that could make them engaging and effective tools for teaching and learning. The recent explosion of interest in online worlds, mapping software, and three-dimensional games is reinforcing both consumer interest in three-dimensional worlds and the pressing need for software to interrogate three-dimensional content created to rigorous academic standards. While there are many different types of software and online opportunities for interacting with three-dimensional computer models, nothing currently available addresses the unique requirements of humanities scholars and students. What is needed is a concerted effort to move these research projects successfully from the research lab to mainstream scholarship and pedagogy across the disciplines. This presentation will discuss efforts at UCLA by Drs. Lisa M. Snyder and Scott Friedman to leverage existing and new modeling work for broad pedagogical use by creating a real-time software interface and content repository to provide a mechanism for exploring highly detailed three-dimensional models in educational settings. The first phase of the project, currently underway, is the creation of generalized and extensible run-time software that will allow real-time exploration of highly detailed, three-dimensional computer models in both formal and informal educational settings. This run-time software will address the greatest challenge for building knowledge through use of three-dimensional computer models by providing scholars and educators the mechanism to explore, annotate, craft narratives, and build arguments within the three-dimensional space – in essence, facilitating the creation of virtual learning environments that can be broadly disseminated to educators and learners across grade levels and humanities disciplines. This software will also allow the raw computer models to be used as the basis for constructivist learning activities, so that students can actively engage with the content to build knowledge by creating a personalized virtual learning environment. This effort will provide an innovative way for scholars, students, and the general public alike to interrogate academically generated three-dimensional content. Scholars will be able to expand their own knowledge through interactive exploration of the modeled environment, and, using the proposed authoring tools, develop their own arguments and class presentations within the virtual space. By capitalizing on student interest in three-dimensional content as evidenced by the popularity of online worlds and mapping programs, this new software will expose students to academically vetted content, encourage them to develop critical thinking skills about the historic reconstruction process, and provide an alternative to the traditional classroom methods for examining the built environment. Lifelong learners will also be able to access the content and build their own knowledge about past cultures. The availability of the proposed software will also create opportunities to leverage existing modeling projects by providing a mechanism for sharing content, and encourage new work that can take advantage of the new run-time software. Dr. Lisa M. Snyder has been a member of the Urban Simulation Team since 1996. She is also the associate director for outreach and operations for the UCLA Experiential Technologies Center which operates under UCLA’s Academic Technology Services and the Institute for Digital Research and Education. Her research is focused on the educational use of interactive computer environments. 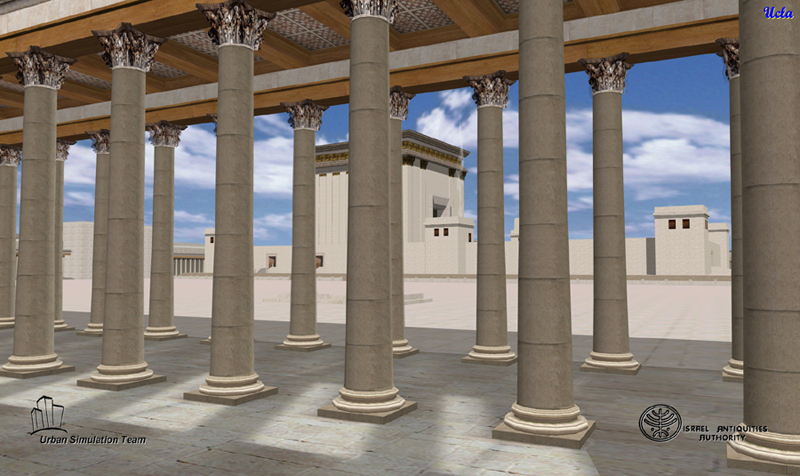 Through the UST, she developed the real-time simulation models of the Herodian and Umayyad Temple Mount site now installed at the Davidson Center in Jerusalem (see Figures 8-19) and is currently working on the computer reconstruction of the World’s Columbian Exposition of 1893 (see Figures 1-7). This work is being supported by UCLA’s Academic Technology Services/Institute for Digital Research and Education and the National Endowment for the Humanities. Figures 1-5. 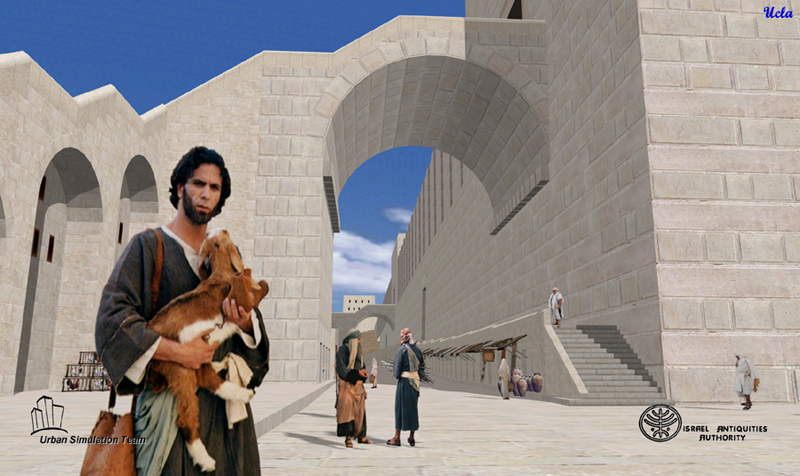 Screen snapshots taken from the real-time visual simulation model of the Herodian Temple Mount developed jointly by the Urban Simulation Team at UCLA and the Israel Antiquities Authority. 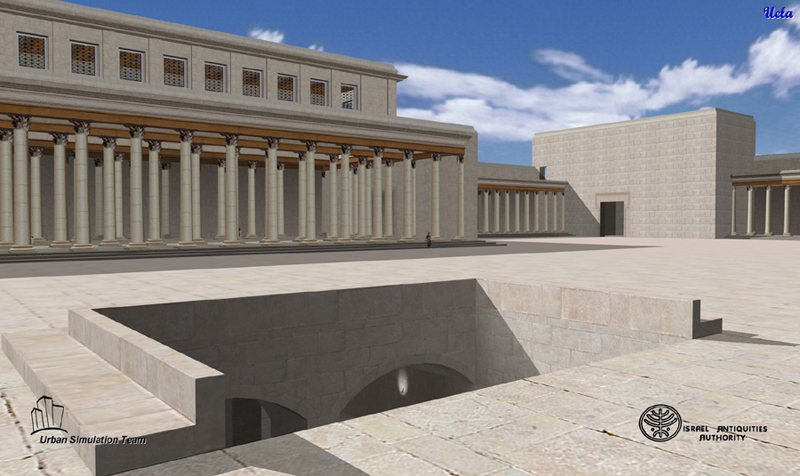 From top to bottom: the Temple Mount; the north/south Roman road and Robinson’s Arch; on the platform; in the Royal Stoa; a view of the Second Temple from within the Royal Stoa. Friedman, S. (2004). The Pixelcluster: Real-time visualization using a cluster of commodity workstations. Dissertation University of California, Los Angeles.